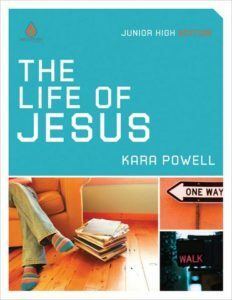 Dr. Kara Powell is the Executive Director of the Fuller Youth Institute (FYI) and a faculty member at Fuller Theological Seminary. 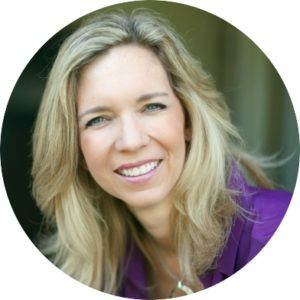 Named by Christianity Today as one of “50 Women You Should Know,” Kara serves as a Youth and Family Strategist for Orange, and also speaks regularly at parenting and leadership conferences. Uncommon is a youth ministry series that helps junior high students find their place in God’s story, engaging students with high-octane, student-friendly activities that will help the youth leader show—not just tell—the timeless truths of the Bible in a life-transforming way. Inside each book you’ll find a unique download link for additional discussion handouts for each session which are fully reproducible for any group size. Be sure to check out the Uncommon Resources–a deep library of tools for games, missions projects, camps, retreats and more. Take Younger Teens to God’s Armory! Take your younger teens into Ephesians, where the apostle Paul reveals the secret to being strong in the Lord. 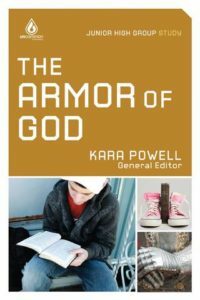 Help teens put on every piece of God’s armor, including the belt of truth, the breastplate of righteousness, the shield of faith, the helmet of salvation and the foot readiness that comes with knowing the gospel of peace. In the second half of The Armor of God Uncommon Junior High Group Study, students will learn how to use their offensive weapon—the sword of the Spirit, God’s Word. Twelve sessions of active and engaging Bible lessons will equip young Christians to stand strong in their faith and march forward in confidence! Who is God? Does He care what I do with my life? Does God really love me? These days many young people are confused about God. 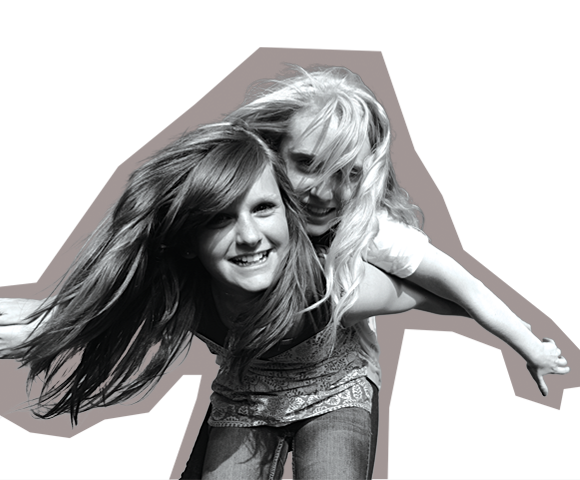 Youth workers can provide a solid foundation for young teens with The Christian Life junior high school study resource. 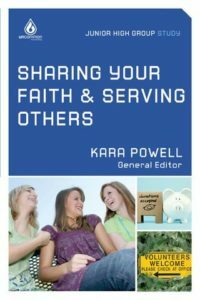 Part of the exciting Uncommon youth resource line, this straightforward presentation of the Gospel first explores who God is – Father, Son and Holy Spirit – then guides students through their relationships with God. Students will learn that God loves them no matter what; Jesus Christ is the only way to have a relationship with God; and the Holy Spirit lights the way to God. The three four-week modules examine one of the most critical parts of a young person’s life, their faith. Lead students to discover that everyone is a sinner; how God’s grace rescues us; and that we are to serve Him out of love and gratitude for His gift of grace. .
Help Young Teens Handle the Pressures They Face Most Often! Life is crazy in junior high or middle school—pressures of physical and emotional changes, teachers, friendships and “fitting in” don’t seem to ever let up. 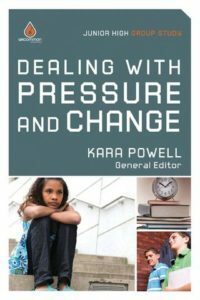 Dealing with Pressure and Change, an Uncommon Junior High Group Study gives you what you need to guide kids to walk through stressful situations and remain connected to God through daily ups and downs. This study provides 12 flexible Bible lessons that adapt easily to groups of any size to help younger teens discover that God walks beside them no matter their situation or stress level. The high-octane activities will help them engage biblical truth with their hearts, minds and bodies, too! 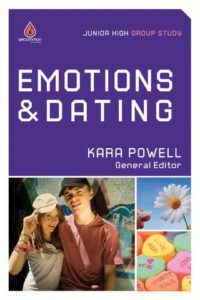 Help Younger Teens Navigate Their Feelings to Become Relationship Wise! Physical and hormonal changes, increasing pressure to date, a confusing jumble of feelings—welcome to being a middle schooler or junior higher! With Uncommon: Emotions & Dating, you can help them discover that God can be their first love! Emotions & Dating Uncommon Junior High Group Study gives you what you need to help kids respond to the unpredictable changes and emotions of their lives in healthy, biblical ways in Section 1 and ways to think through decisions about dating and relationships based on God’s Word in Section 2. Twelve flexible Bible lessons, adaptable for groups of any size, with high-octane, kid-friendly activities to engage with biblical truth through their hearts, minds and bodies! Help Kids Become Great Friends Who Stand Up to Peer Pressure! Friends are so important to today’s youth, and the good news is that friendship matters to God too! You can teach junior high kids how to have healthy relationships based on respect and acceptance, in ways that make sense for their lives. Becoming a stand-strong, clear-headed teen who is fearless of making healthy, positive choices – even if it means going against the flow – is a challenge.. and that’s an understatement! Especially for tweens and younger teens, swimming against the tide of peer pressure can be stressful and confusing. 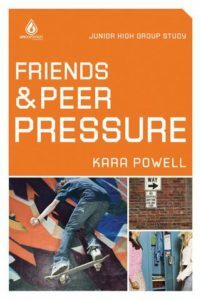 Now, with Friends and Peer Pressure, part of the Uncommon junior high study series created by youth-ministry expert Kara Powell, you can help kids in your group deal with the everyday pressures that come with the territory of growing up. Twelve sessions of activities and exercises will get teens thinking about how to let God reign in their friendships and how to lead rather than follow. Help Teens Know Jesus Through His Miracles and Parables! 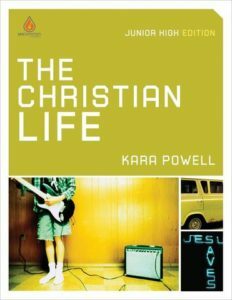 The Life of Jesus, an Uncommon Group Study, points students to the supernatural power of Jesus Christ and the lessons He taught, which still ring true today for young people. From the miracle of raising Lazarus to Christ’s own resurrection and ascension, students will be filled with awe and amazement that the eternally powerful Christ wants a personal relationship with them. Key themes throughout show the balance Christ showed between His power to heal and to cast out demons, and His tenderness to love and care for His disciples and followers, and for us. 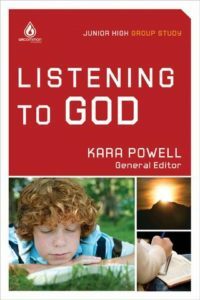 His parables communicate a spiritual truth or religious principle through simple, but powerful, stories that students can relate to. This is an easy-to-teach 12-session study. The three four-week modules explain who Christ is, and how each of us can follow His example to a fruitful and fulfilled life. Help Young Teens Seek and Obey God in Every Area of Life! Junior high students can start growing their faith into something vital, transformational and mature—a faith that trusts God in every circumstance! Listening to God Uncommon Junior High Group Study gives you great Bible lessons that guide young teens in practical ways they can deepen their relationships with God through Bible study, prayer, and obedience to God. Twelve flexible sessions broken into two units: Seeking God’s Voice (in His Word, guidance, prayer, more) and Obeying God’s Voice (for salvation, for power, in waiting, more). Plenty of fun, hands-on activities, adaptable for any size group, kids will engage with God’s Word through their bodies, minds and hearts! Help Teens Discover New Testament Heroes Find Their Place in God’s Story! 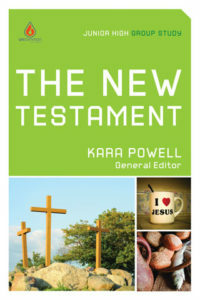 Take your teens into a solid understanding about the New Testament and important truths it teaches! Twelve sessions in two 6-session units: The Kingdom is Near, The Kingdom is Growing; each Bible lesson features a New Testament person who helps them learn how they can be full members in God’s Kingdom. Young Teens Meet Pivotal Old Testament People and Learn How They Can Be Heroes, Too! Through the Old Testament, we find out why God made us and the world. But many youth leaders aren’t sure how to introduce these stories to their junior high students. 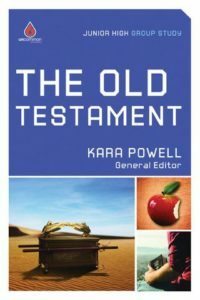 The Old Testament, an Uncommon Group Study, begins with the story of Adam and Eve and helps leaders introduce young teens to our common history and purpose. They’ll examine how God created the world, how the first family was established and how sin entered the world. As they journey forward in time, they’ll learn about worship’s beginnings in the era of Noah and about the adventure of faith begin with Abraham and many other biblical figures: Joseph, Moses, Samuel, David, Josiah, Daniel and Esther. 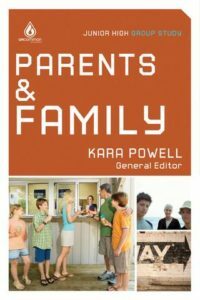 Help Younger Teens Become Family-Friendly Again! Growing up can be difficult for tweens and parents. Emotions can run hot and cold, and if families aren’t strengthened along the way, they may not be able to handle the extremes. Parents and Family will help young teens learn to deal with their wildly fluctuating feelings and relate positively to their parents and siblings. Activities and exercises get teens thinking about how they can let God reign over their emotions and their families. Uncommon puts it all together for youth leaders. 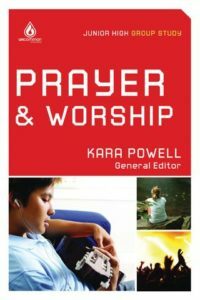 Help Young Teens Understand the Depth of Prayer and Worship They Can Experience! Do your kids see the power and purpose in prayer—or is it something they endure until the “Amen”? What is this “worship stuff” Christians do? Is it just a bunch of people wearing choir robes? Playing guitars? Singing? Prayer and Worship Uncommon Junior High Group Study helps you answer teens’ (possibly never-voiced!) questions in ways that make sense for their junior high lives: Help them understand how God answers prayer, what to do when He seems silent, why we keep on praying, hat is worship? How does it all work? Through Scripture study, fun activities, stories and discussion, students will understand the “how and why” of prayer and —in ways that will help them make these two parts of loving God an integral part of their spiritual lives. Take Young Teens From Insecure to Confident in Sharing Faith and the Love of Jesus! Effectively encourage your insecure junior high students to know who they are and where they fit—to grow from bashful to bold! Sharing Your Faith and Serving Others Uncommon Junior High Group Study has everything leaders need to inspire reluctant younger teens and give them the tools they need to feel armed, dangerous and overflowing with love for God and neighbor! Students will learn about the Great Commission, the Great Commandment, about missions at home, world missions and their place in God’s work of redemption and reconciliation. Through 12 flexible sessions of Bible study, adaptable for groups of any size, junior-highers will discover that sharing Jesus and serving others are two sides of the same coin. And the hands-on, kid-friendly activities and service projects will help youth leaders create unforgettable group experiences that shape hearts and minds! Great biblical material, creative interaction and user friendly! What more could you ask for?